As a vegan cook, you can never have too many salad, veggie or buddha bowl recipes, especially if you make a lot of your own meals or enjoy entertaining. 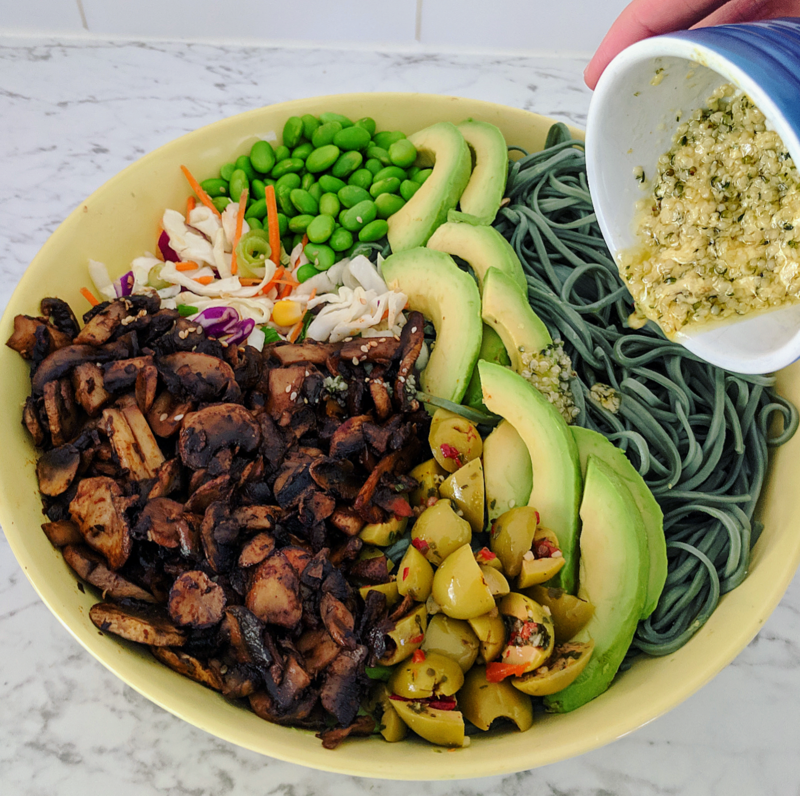 My Spirulina and Edamame Green Bowl is packed with all sorts of healthy goodies, and feel free to experiment with additions of your own. If you can't find spirulina noodles, use another type of noodle like vermicelli or udon. Place noodles in a large saucepan, cover in boiling water and cook on a low heat form approximately 5 minutes, or until noodles are soft. Drain and just before serving, rinse in cold water. Combine mushrooms, liquid smoke, butter and paprika in a frying pan and heat until all of the liquid is absorbed. In a large bowl, combine edamame, avocado, olives, mushrooms and noodles. Combine all of the dressing ingredients and pour over salad just before serving. Serve with extra salad and a vegan protein of your choice!